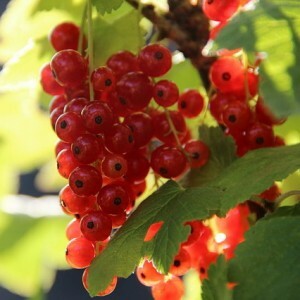 Ribes is a sort of long-term leaf-losing bushes. Now there is the only kind of the plant in the family of Grossulariaceae. The information about the number of a sort isn’t unambiguous — perhaps because botanists agreed to allocate the second independent sort (Gooseberry) in the called family, and now it is considered only the Currant subsort. In Russian-speaking sources it is often possible to read: "about 150 types", "to 150 types" — however whether the little-known modern quantity of types of the Gooseberry is considered in number "150"? The American Internet site GRIN submitted the list containing already 246 types. They are widespread in Eurasia and both America.